Macy’s, Inc. continually seeks new vendor partners to provide merchandise for our stores, as well as goods and services for use in our operations. Certified minority- or women-owned enterprises based in the United States may qualify for the Macy’s, Inc. Supplier Diversity Program. Click here for more information. Technical requirements for Macy’s, Inc. merchandise vendors are available at www.macysnet.com. 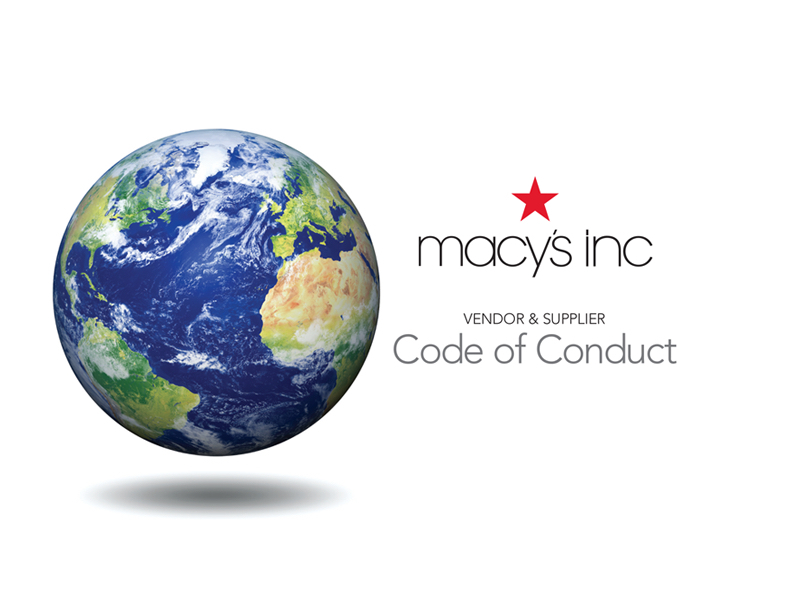 Since 1995, Macy’s, Inc. has required its private label vendors to comply with its Vendor and Supplier Code of Conduct, which sets clear standards and requirements for suppliers doing business with Macy’s, Inc. in order to help protect workers, both international and in the United States. The Vendor Code also requires Macy’s Private Label vendors to comply with child, forced labor, wage and hour, and unsafe working condition standards.